Mexican Pavers (Saltillo pavers, Tecate pavers, etc.) 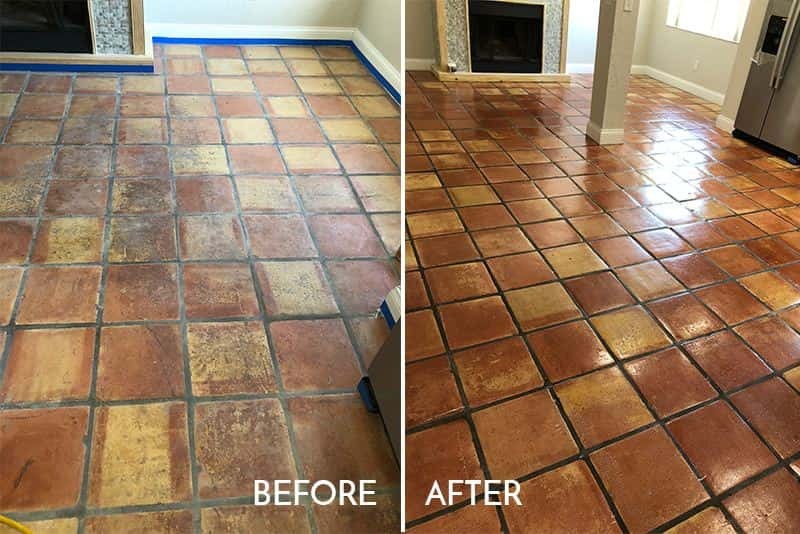 can be successfully stripped and resealed only if all the old sealer is removed completely from both the tile and the grout joints. Stripping is a chemical process with absolutely no sanding or abrasion involved. The process is dust free and there is no damage to surrounding surfaces except for some possible need for touch up to painted baseboards. At Great Finishes Inc We use the most effective Bio degradable stripper in the industry. Let us help you polishing your Mexican Tile, we cover Ft Lauderdale, Miami and the Keys. While the stripper must be handled carefully it is Bio degradable, nonflammable and will leave behind no toxic residue. All stripping is done with a soft bristle brush, this insures that the soft Mexican tiles will not be damaged. It is imperative that all traces of old sealer be removed so that a proper bond can be achieved with the new sealer. Great Finishes will then will apply any one of several types of sealers, depending on what is appropriate for the situation. See Sealer Choices below. 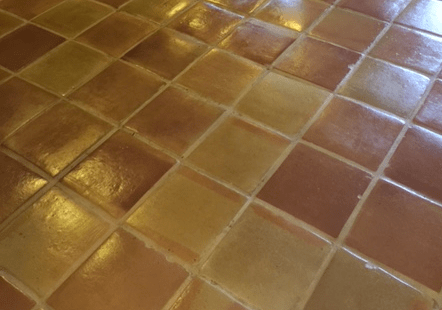 We can produce a seal on Mexican tiles that will resist both liquids and oils. The sealer can leave the tile with a completely natural flat look, or we can give it a low, medium, or high shine. We are very proud of our work and our commitment to excellent customer service. You will be proud of your new floor when our restoration is completed.